Executives from thirteen major US corporations are all set to make an announcement today relating to commitments for decreasing their carbon footprints. The private commitments will set a tone for a United Nations (UN) climate-change summit later this year in Paris. Apple, Berkshire Hathaway Energy Company, and Goldman Sachs Group are among many other companies set to join Secretary of State John Kerry and top administration officials at the White House for the announcement. Goldman Sachs Group Inc on Thursday posted lowest profit in four years. The multinational investment firm set aside more than $1 billion to cover potential mortgage settlements which could be the reason for smaller profit, due to which its nervous investors pulled back from bond trading. It has been found that the bank set aside $1.45 billion for mortgage-related legal costs and regulatory matters, which is said to be five times as much as in the second quarter last year. It is known that the American multinational investment banking firm is among other banks that have been targeted by a federal-state working group to go after misconduct in the pooling and sale of mortgage securities during the financial crisis. Bitcoin brokerage Circle Internet Financial said that it has closed a $50 million investment round led by Goldman Sachs and IDG Capital Partners. The company has mentioned that it is planning to introduce options for customers to hold, send, and receive US dollars. Circle is a startup that was founded in 2013 by Brightcove Inc. founder Jeremy Allaire and Sean Neville. It allows customers to hold, transfer and receive the digital currency, Bitcoin. The company added that if any of its users decide to keep dollars instead of bitcoin in their accounts, then they can pay any person or merchant, accepting bitcoin without ever holding bitcoin themselves. Circle is going to handle instant conversion from dollars to bitcoins and vice-versa. Goldman Sachs Group has reported surge in its quarterly earnings for the first quarter. According to the investment banking and financial services major, it has registered the best quarterly profit in five years. The company gained from trading bonds and currencies as global market rose and fell in the first quarter of 2013. According to reports, trading volume improved after the Swiss central bank scrapped a cap on the franc, the United States Federal Reserve moved to tighten monetary policy and the European Central Bank announced about its quantitative easing program. Goldman Sachs performed poorly compared to other big banks on the Federal Reserve stress tests last week. Poor performance has raised concerns as analysts and investors worry that the bank could be barred by regulators from buying back its own stock or increasing dividends. The multinational investment bank used dividends and share buybacks to appeal investors at a time when other elements of the bank’s business faced challenges. When shares of their own stock on the open market are bought by the companies, it generally increases the amount of profits attributed to every share. Now, given the results of the stress tests, analysts are concerned whether the Federal Reserve would allow Goldman to continue its buyback programs. New York - Kunal Shah, Indian-origin managing director at Goldman Sachs has been promoted to the position of Partner, becoming the youngest to be inducted into the global investment giant's most coveted club. The 32-year-old is among the 78 individuals to be promoted to this position, and is one of the five persons of Indian-origin to have made the cut in Goldman Sachs in 2014 class of Partners. Shah was promoted to managing director at the investment banking giant at the age of 27. The Cambridge University math grad was also named in Forbes '30 under 30' Finance list in 2011. Mumbai - Global private equity major Goldman Sachs has sold its entire 73 percent stake in City View Bangalore Properties to a JV floated by Blackstone and realty player Embassy Group for an undisclosed amount, exiting the project after several failed attempts since 2012. Consultant firm J Sagar Associates, which advised Goldman, confirmed the deal but provided no details. Neither Goldman nor other PE funds could be immediately reached for comments. City View Bangalore is building a hotel under Canada's Four Seasons brand besides apartments and offices in the garden city. Washington: Goldman Sachs has agreed to a settlement worth USD 1.2 billion to resolve claims that it misled US mortgage giants Fannie Mae and Freddie Mac about risky mortgage securities it sold them before the housing market collapsed in 2007. The Federal Housing Finance Agency, which oversees Fannie and Freddie, announced the settlement yesterday with the Wall Street powerhouse. 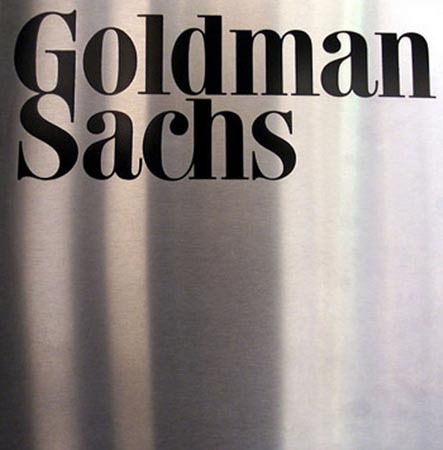 New York-based Goldman Sachs sold the securities to the companies between 2005 and 2007. Under the settlement, Goldman is paying USD 3.15 billion to buy back the securities from Fannie and Freddie. Mumbai - India-focused private equity fund Everstone Group has hired a top executive from Goldman Sachs in Asia as its new chief executive, it said on Tuesday. L. Brooks Entwistle was most recently chairman of Goldman Sachs Southeast Asia and CEO of the investment bank`s Singapore operations. He will continue to be based in Singapore and oversee Everstone`s day-to-day management as well as lead transactions and originate deals, according to the Everstone statement. New Delhi: India's annual energy import bill could jump to USD 230 billion by FY'23 from the current USD 120 billion but could get reduced significantly by switching from oil to natural gas and improving conservation, says a Goldman Sachs report. According to the global financial services major, the country's annual energy imports in the next decade could go up to USD 230 billion from USD 120 billion currently, driven by economic growth, greater industrialisation and urbanisation. India is facing energy challenges as the country doesn't produce enough to meet its needs. In FY14, India's net energy imports were at 6.3 percent of GDP. Former Goldman Sachs Group Inc Director Rajat Gupta suffered a tough blow in long-running insider trading case on Tuesday after a U. S. federal appeals court upheld his conviction and two-year prison term for securities fraud & conspiracy. The 2nd U. S. Circuit Court of Appeals turned down Gupta's claim that the court should not have admitted wiretap evidence to determine that he had leaked information about Goldman's finances via phone to Galleon hedge fund founder Raj Rajaratnam. Goldman Sachs Group, a leading financial institution, has said that its net income fell around 19 per cent as the company said that its revenue from fixed income, currencies and commodities trading fell during the fourth quarter. Goldman posted net income of $2.33 billion compared to net income of $2.89 billion. 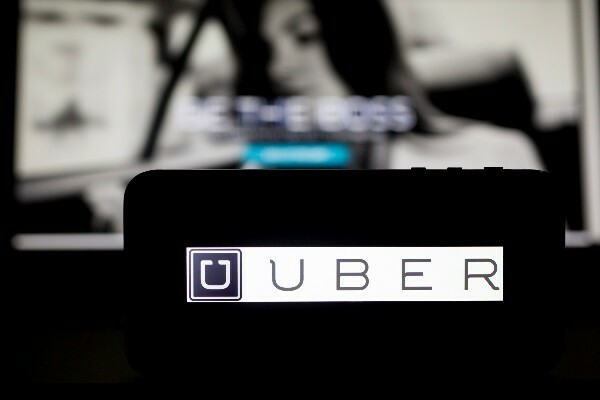 The company also said that per-share earnings were $4.60, while net revenue fell 4.9 per cent to $8.78 billion. Analysts were expecting per-share earnings of $4.22 on revenue of $7.71 billion. Global analysts, Goldman Sachs has said that it has set a target price of 610p for the shares of Royal Mail after the investment banker had advised the UK government to set the flotation price at a much lower level. Royal Mail's shares increased 32p to 565p on the stock exchange in London and is now trading around 71 per cent higher than the 330p price at which it made its debut in the stock market. India's Parliamentary elections in 2014 will be a major area of uncertainty, which would have impact on the country's policy reforms and investor sentiment, Goldman Sachs said. In its latest investment research report, Goldman Sachs cautioned that emerging markets would suffer higher volatility next year and that India's upcoming elections could be a major driver of the country's capital markets. New York, Nov 14 : US financial services giant Goldman Sachs has promoted 280 executives, including at least 25 of the Indian-origin, to the coveted position of managing director. Joining the Modi bandwagon, Goldman Sachs on Tuesday raised its target for Nifty to an impressive 6,900 for the end of 2014, citing optimism that Narendra Modi-led main opposition party BJP could throw up a surprise in the next year's elections. In its latest report titled `Modi-fying our view: Raise India to marketweight,' the global investment bank upgraded India's rating to `marketweight' citing Modi's winning chances along with other micro and macroeconomic indicators. It may be noted here that `marketweight' stands for investment grade in layman's jargon. International brokerage firm, Goldman Sachs has said in a new report that it expects the Indian economy to grow at the rate of 6.4 per cent for the current fiscal year. The brokerage said that the upcoming general elections would result in higher government spending, lower interest rates and more action on policy reforms. It expects the higher spending, lower rates and more reforms to help increase the exports form the country and drive investments during the current financial year. Goldman Sachs Group Inc. has hired Kate Richdale - a 13-year veteran of Morgan Stanley - to head its investment banking services for Asia. Ms Richdale, the most senior banker in the region, will be responsible for Goldman Sachs' investment banking services in all Asian market's, excluding Japan. She will join Goldman Sachs as a Partner, and responsible for boosting relationships with clients in Asian countries. Partner is a very coveted title at Goldman Sachs, thanks to the prestige and high level of compensation associated with it.